OK – the last minute has arrived! Well, maybe not, as tax day isn’t until tomorrow, so many of you probably you feel you have tons of time as you don’t have to have your income tax returns postmarked until tomorrow night at midnight. Hopefully you’ve already filed and received a refund. 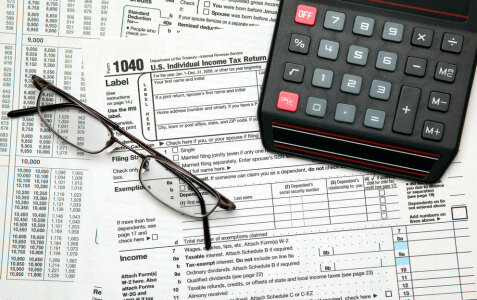 For those of you who waited until the last minute, you can check out our taxes web guide in our Finance Channel for some resources that can help you out. This process can be much easier if you do a little research or get some help. It’s probably too late to dump a pile of records on the lap of some poor accountant or financial planner unless you’re prepared to pay big bucks, but you can invest in some tax preparation software to make these last hours a little easier. This recent New York Times article compares TurboTax and H&R Block at Home, and either one should be a solid choice. Good luck!